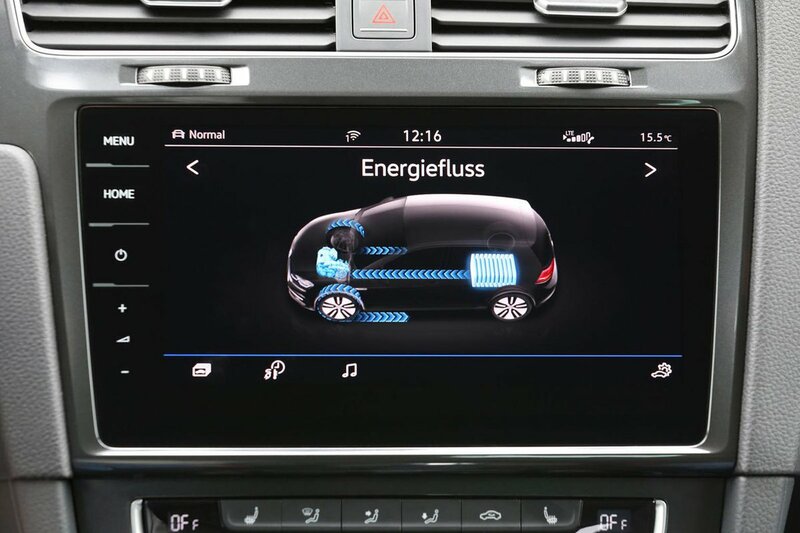 Volkswagen e-Golf Boot Space, Size, Seats | What Car? 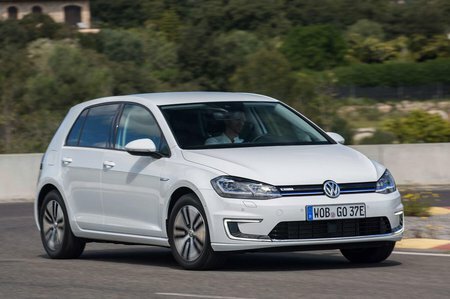 Despite its electric powetrain, the e-Golf offers you and your passengers almost as much space as a regular diesel Golf. Therefore, there is an abundance of head and leg room in the front, with a generously wide interior that means you won’t want for shoulder room, either. The front door pockets are also big enough for a 500ml bottle of water, and there are two cup holders in the centre console. You’ll also find a storage bin under the front centre armrest, along with a decent-sized glovebox that’s kept cool by the air conditioning. In the rear, there’s room for three children (or two adults) to sit across the back seats, so it's much roomier inside the than the BMW i3 and Nissan Leaf. 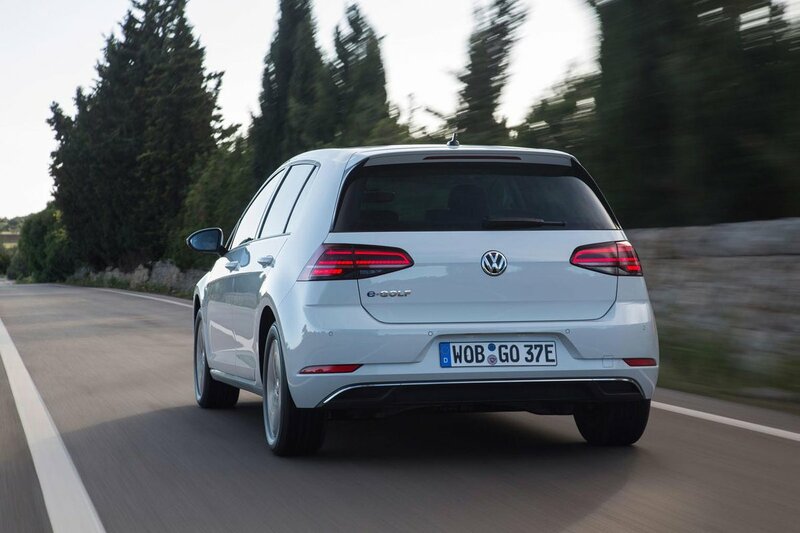 And although the e-Golf's boot is slightly smaller than a standard Golf's, there's still room for a large pushchair or a couple of large suitcases; compared with the i3, the e-Golf is positively spacious. Should you need even more boot space, the rear seats split 60/40 (the i3 offers a 50/50 split) and fold almost flat by pressing easy-to-reach buttons next to the rear headrests.